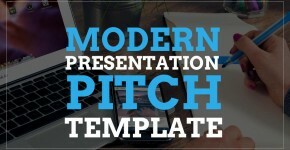 The Modern Presentation Pitch Template is a set of Google Slides Templates created for entrepreneurs and small businesses. The topic around the Free Google Slides Templates is to pitch a product or service. The Presentation Template is created with a modern flat design, using Icons and Vectorial shapes from free sources. Modern presentation techniques as overlay backgrounds and overlapping shadows are applied to boost the presentation visual effect. At Free Google Slides Templates we create Google Slides easy to edit by the users. Our objective is to allow regular users to create impressive presentation decks using modern graphic design techniques that we have mastered over the years. The Modern Presentation Pitch Google Slides Templates can be used in any scenario (commercial or non-commercial) as we share our rights as Creative Commons. Impress your educators with a great visual presentations. Many educators use our templates in their courses within the Google for Education Program. Cover Slide: background image, text placeholders with composite fonts, transparency layers and picture effects. Section Separator: themes with the cover slide, created with editable placeholders for cloning on each section. Comparison Slide: horizontal tiles decorated with thin icons metaphors and infographic values. Your Solution Slide: decorated with an entrepreneur vector, the google slides themes express the solution metaphor. Features Slide: show hoe the solution works. Market Slide: show your audience the market opportunity with the three infographic highlights. Competition Slide: competition and substitutes slide, decorated with thin icons. Timeline Slide: every startup needs a plan, milestones and deliveries. Acquisition Plan: show investors how to acquire customers. Editable charts: show your numbers with Google Slides editable charts. Team Slide: show your team to investors. At Free Google Slides Template we try to create top notch designs that can be used by regular presenters to create great decks. Our aim is to spread good design practices and create the habit of visual appealing decks. Leave us your comments and explore our Gallery. Created for Google Slides but thinking in compatibility with Microsoft PowerPoint and Apple Keynote. Created for 16:9 Aspect Ratio. Vectorial Shapes and Icons: Resize and Edit the Look and Feel without losing resolution. This is a Live site, we create new Google Slides Templates Regularly. In order to edit the presentation in googleslides, you need to make a copy . Once in the Google Slides Screen, go to the File > Make a copy menu option, and you will be able to have a version of the template in your own drive folder. IMPORTANT: For PowerPoint Downloads, you will need to download the fonts used from Google Fonts. They are free to download and use. could anyone tell me how to use the template? Just Press the Orange button. Once in the Google Slides Page, click File/Make a Copy. You will create your own copy in your Drive. You will be able to edit it there.